Welcome to CHAD THAI* Restaurant where you can enjoy Thai Street Food, the authentic contemporary Thai cuisine, in a casual and relaxing atmosphere. Thai cuisine has in recent years become a familiar and appreciated cuisine around the world. 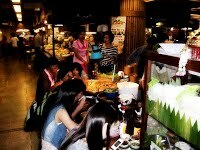 Thailand has a distinct and lively street food culture. 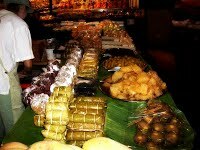 Street stalls play a pivotal role in everyday Thai life. The subtle balance of texture, colors and flavors are skillfully incorporated into the dishes. They are acclaimed for their simplicity, creativity, aroma and artistic flair. 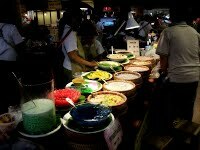 Thai cuisine is also renowned for its unique taste, which can be defined as the harmonious blending of the five major flavors: sweet, sour, salty, spicy, and creamy. The combinations of fresh ingredients are the heart of all Thai dishes and contribute to a great taste and a healthy diet! Inspired by the popularity of Thai street food and the unique Thai taste, CHAD THAI Restaurant serves Thai street food at a certified restaurant standard** for anyone who misses Thai street food and for those who want to try something different. KOB-KUN-KA/KRUP (Thank you). See you at CHAD THAI. 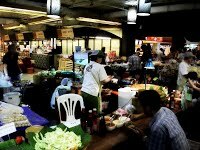 *CHAD THAI is a specific name which means Thai Taste and Pride; it combines the meaning of Thai taste (rod-chad-thai) and the pride of Thai nation (chat-thai). **CHAD THAI is managed by professional Thai Chef and is fully audited by fraserhealth.